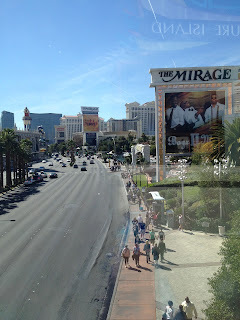 LAS VEGAS DAZE: Mirage one bedroom tower suite via MyVegas! The doors you enter the suite are double wicker type doors. On the wall near the doors is a privacy or service room button. My guess is that if you don't care if you have a seat for every guest you could easily have 30 or more guests in this suite for a party. Double doors lead into the bedroom. When you turn on the television in the bedroom it rises up from the credenza and of course lowers when you turn it off. Bathroom also has double doors leading into it. There's another television in the shower, tub and sink area, for three televisions total. Walk in closet has more drawer space and the safe is located here on the wall. Bathroom has a bidet in addition to the toilet. While you can't see it in this photo there is also a phone on the wall near the commode. There is a hallway that leads from the shower, tub and sink area that has a dressing table and full length mirror. In my room the walk in closet was to the left and then at the end of the hall to the left was the bidet and commode. Last photo of the night time view shows how the view is partially ruined by the advertising wrap around the Mirage. As mentioned previously currently this suite is one of the rewards you can earn for playing the free game on Facebook MyVegas! Thanks, Diana! I just returned from a non-vegas vacation (HI), and was pleased to see two new reports. Great pictures of the Tower Suite! I also appreciate the info on the drinks 2 U feature at Palazzo. Won't be going back until the 3rd weekend in Apr. It's going to be a long next few weeks (sigh). Shoreline Paws, have a great trip in a few weeks! I have a short trip coming up in April but will be returning home on April 12th, likely about the time you are arriving! Yes, I'll be arriving the following week. Have a great trip and good luck! Coming up on my April trip, I have earned lots of MyVegas comps (too bad you can only redeem 3 per month though). I was hesitant to spend so many credits on the suite, but your video definitely makes it seem worthwhile.Thanks again for all you do and sharing the knowledge. You're welcome Aricczona. :) Have a great time on your April trip and good luck! Diana, I have been enjoying reading all of your blogs. I have a question. 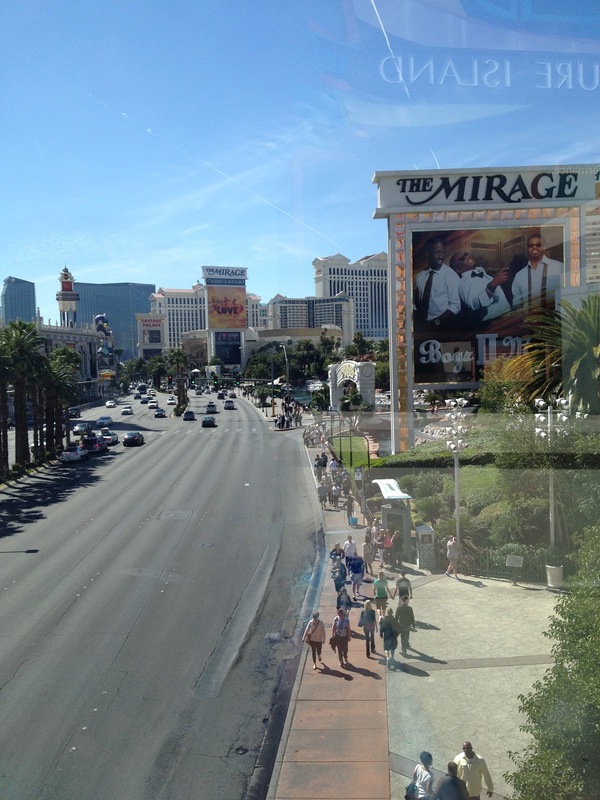 I will be going to Vegas 11/23 and staying 3 nights at the Mirage with the myVegas comps. Are the pictures of the room above the same type of room I will get with my comps.? MyVegas months ago used to have a reward for a 2 night stay in one of their 1 bedroom tower suites. If you have one of those rewards from back then that state you are in a 1 bedroom suite then yes your 1 bedroom suite will be the same as I stayed in above. If you have one of their current awards for a room at Mirage then the type of room you will get is their regular room. Good luck on your November trip and have lots of fun!